These 4th and 5th grade students are focused on observing and learning about the living things that live in or near their school yard. They play games, journal, and research all about their wild neighbors, using tips from Island Readers and Writers’ book Look Up! 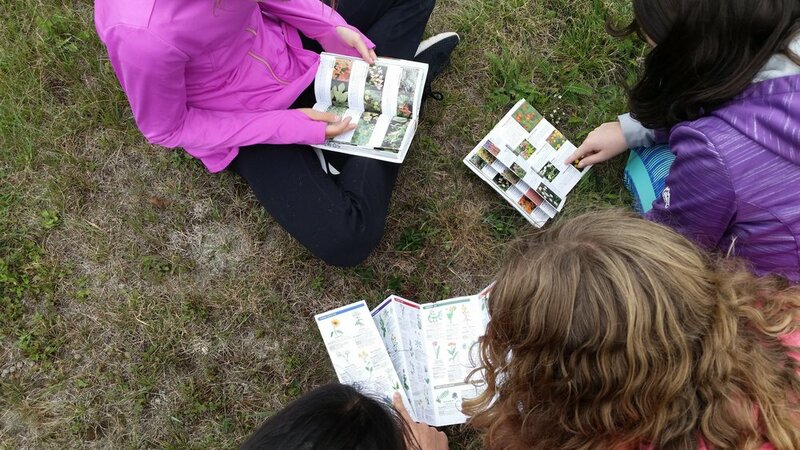 by Annette LeBlanc Cate to hone their outdoor observation skills. From listening to birds to finding a praying mantis and a young garter snake as well as discovering the delightful smell of sweetfern (which isn’t really a fern, but they figured that out), students have been enthusiastic about learning outdoors. To learn about our other collaborations with TREE, check out our shelter-building program from May 2018 here and our Thursday Forays at Milbridge Elementary School here.